these are only 2 searchable areas with purpose and foresight. The first is your ‘username’ which is your handle and the second is your ‘name’, but instead of simply having your name, rather think of what people would search for, where you/your account would be a great result. This may be the industry you’re in eg. Hairdresser NYC or it might be more specific eg. Best Blow Dry in NYC. Make use of all 150 characters allowed in your bio as this is where you explain more about what people can expect from your business and if they were to follow your account. If you find this looks too clumsy then you can create a list of shorter points which are easier to review. You only have a few seconds to capture the attention of someone landing on your page, so make it worthwhile. You have the opportunity to include a link to your website/wherever you want your followers to first visit, use this wisely. If you have a particular landing page you’re directing all your sales funnels towards – choose that, if you have numerous links that your follower might be looking for then I recommend using an app like Linktr.ee, where you have one link that opens up to a menu of further options. This could be a color palette, a filter, a topic, a visual pattern or all of the above. Remember to go with something that compliments your brand and/or products. Having a theme helps two-fold: it gives you a clear idea on what content & images you need to include and it is also visually appealing for followers when scrolling through your feed. If done right, people will begin to recognize your images in their feed before even seeing whose image it is. It’s all well and good having an Instagram account and expecting people to support your business and interact, but you will only get so far without reciprocating and encouraging conversation. You need to be engaging with current followers as well as potential followers. A great way to encourage conversation is to ask questions in your captions and when people respond with answers, continue the conversation. Actively search through some of the hashtags you use and find like-minded people/potential followers or customers to engage with. You’re allowed 30 hashtags per post, and I strongly recommend using all 30. Think of and use hashtags that your audience is searching for and not just ones that you are interested in. Have multiple sets of hashtags to cycle through, to avoid angering the Instagram algorithm and get banned or blocked in any capacity. Tip: Have a set of hashtags for each type/category of post you do. Use hashtags of moderate popularity. Too popular and you’ll never be seen, and too unknown and you won’t be reaching anyone. This is pretty straightforward but posting regularly and keeping conversation flowing with your audience is vital. It increases the chances of your posts being seen on the regular and also means that you’re more likely to be front of mind should someone require your service/product. Have fun & be true to yourself and your brand! This might sound obviously but people want to connect with real people and welcoming brands. Using tools such as IG Stories can help give a peek at more behind the scenes moments and a less curated version of yourself. 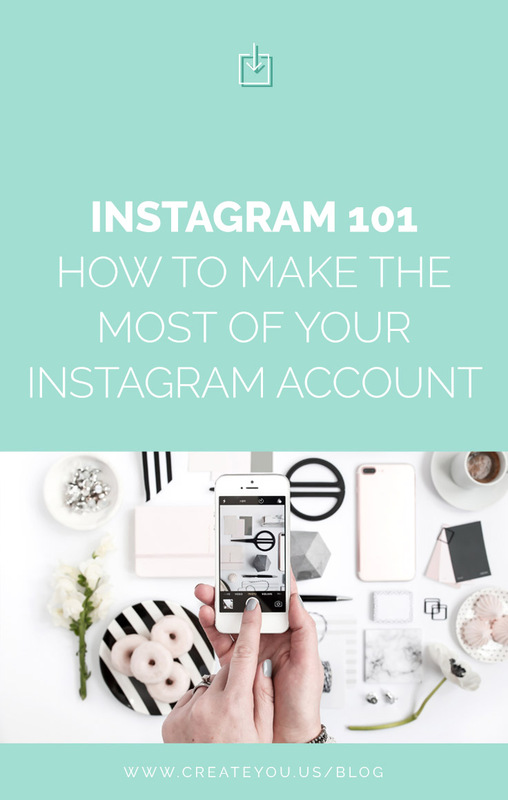 Plus, the Instagram algorithm LOVES accounts that use Stories and definitely gives them extra brownie points. To do what with, we’re still unsure, but we’re not one to turn down extra points! Shané is a Social Media & Brand Strategist, whose passion is being able to offer support to Creative Entrepreneurs, Small Biz's & Coaches. Helping them create a polished online presence through tailored Strategy development, custom Content Creation, and even monthly Social Media Management. If she does have some time away from her laptop she’ll be found bundled up on the couch watch Netflix, eating popcorn and scrolling through Instagram. If you learnt something from this post, have any questions about Social Media or just want to say Hi, head over to her Instagram (filled with tips & tricks) where you’ll be welcomed with open arms.